Healthy Body, Healthy Mind – Part 2. Put your mind and body on the right track to achieving a better overall sense of wellbeing with our healthy body, healthy mind tips, Part 2! Having a good relationship with your mind helps you handle the challenges that life hits all of us with at times. We all know that maintaining our mental fitness is just as important as maintaining our physical fitness. But while we’re busy living life and managing our hectic schedules we often forget to give it the regular effort and attention that we should. 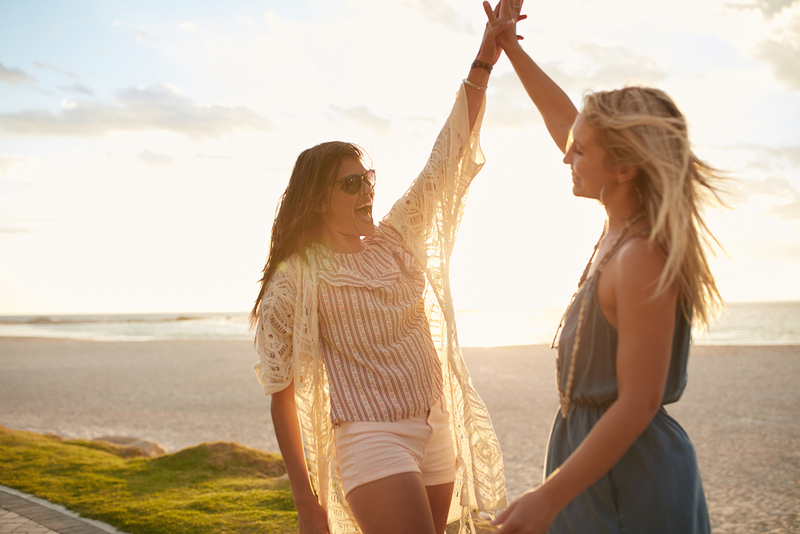 Make time for the mind and the body, and move into summer happier and fitter with Part 2 of our healthy body, healthy mind tips. Feel a sense of community by making the time to connect with friends and family. This is so important in strengthening your mental wellbeing, and it’s a fundamental part of being human. Plan regular catch-ups or gatherings to enjoy the people in your life. You can make your catch-ups twice as mentally-rewarding by getting some physical activity in there. Exercising with friends will help keep you motivated and encourage you to push yourself, plus it gives you the chance to have a good chat, and releases those energising endorphins. Setting new goals and making time to kick them is a great way to motivate yourself, learn new things, and give you an energy and confidence boost. Take one of your interests or goals and sign up for a new class, learn to cook foods you love, or try something new that you love the look of. With fast-paced lives comes little time for relaxing, or so we feel. It’s important for both your physical and mental health to slow down, and take time to relax. Learn new techniques to calm your body and mind, whether that’s exercise, stretching, writing, or even taking a bath. There are heaps of apps available to help you unwind with different exercises, so take a look and put them to work. We know we mentioned this before, but it really is so important. What we put into our bodies reflects how we feel both physically and mentally. If you find yourself reaching for the sugary treats and highly processed foods to get you through the day, challenge yourself to stop, or at least cut down. Saturated fats and sugars give our bodies and minds a short-lived boost, and as soon as that wears off, we’re reaching for more. Create healthy habits with a little preparation and dedication. Make healthy snacks and keep them handy so you reach for them instead, whether it’s healthy slices and bars, yoghurt, fruit, or veggies and dips. You’ll start feeling much more alert and capable of pushing through the day without the unhealthy treats. Looking after your mind with the same care you give your body will help you healthily tackle the challenges of everyday life. So get on out there and work on building your mental fitness every day. Enter to win a $1,500 Beauty Package!